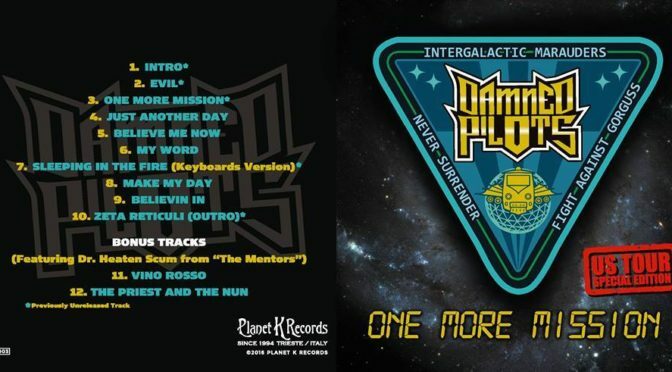 ‘One More Mission’ was released by Planet K Records (Upset Noise, A New Scar), label founded in Trieste since 1994, also active in concerts and festival’s promotion; Uzi Emperado‘s cover artwork depicts band’s patch, graphics design by Lorenzo ‘Cimaz’ Cimador. The final tracklist for ‘One More Mission’ has 12 songs, with five new like ‘Evil’ and a new version cover W.A.S.P. 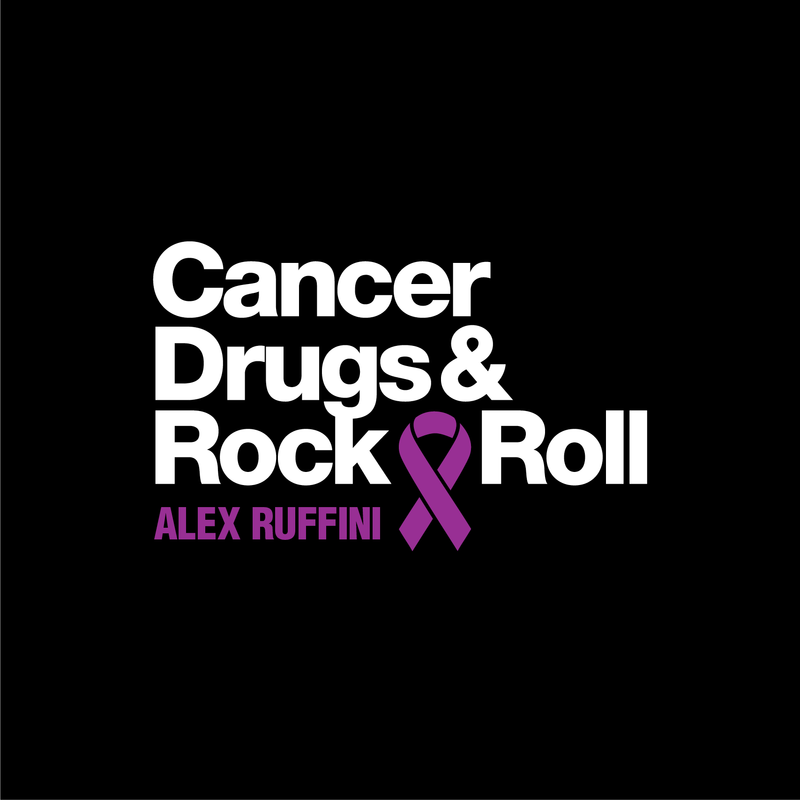 ‘Sleeping in the fire’, in addition two bonus tracks featuring Mentors’ Doctor Heaten Scum. 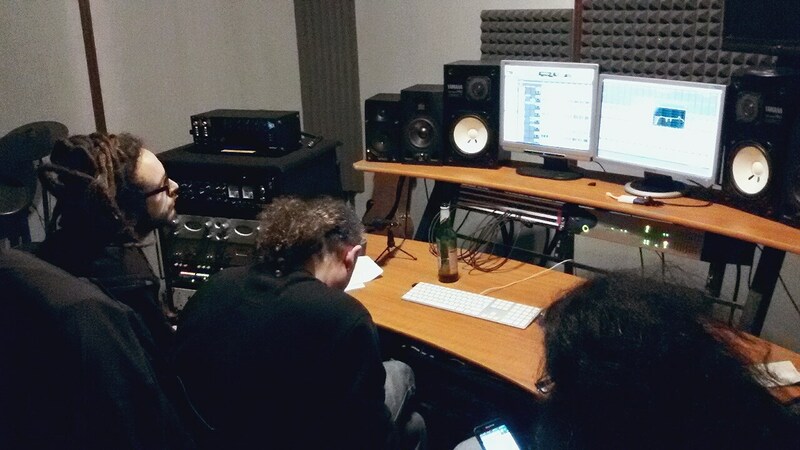 ‘One More Mission’ was recorded, mixed and mastered at Sound of Perseverance Recording Studio in Trieste. The studios, conceveid by Damned Pilots’ Willer Hz and Enrico Apostoli, has just open its new headquarters in the hills surrounding Muggia . 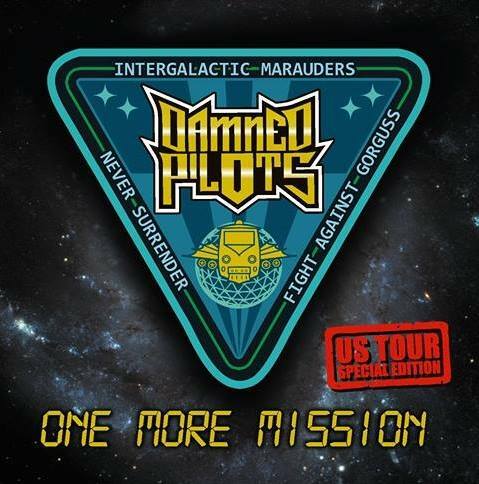 Damned Pilots will be playing sixteen shows next June on their first U.S. tour supporting The Mentors. ‘Gods of Perversion Tour 2016’, powered by Shred Head Inc. agency, will be starting June 3 from High Dive in Seattle, and will run until June 18 in major West Coast’ clubs, including historic venues such The Viper Room in Los Angeles, former Johnny Depp’ club on Sunset Boulevard haunted by many Hollywood’s artists and celebrities.